Ezay, the SouperChef Anna’s way! We learned how to make some authentic Bhutanese cuisine, including this multi-use fiery hot chilli condiment, ezay, in the rustic and well-equipped home of our guide’s brother. 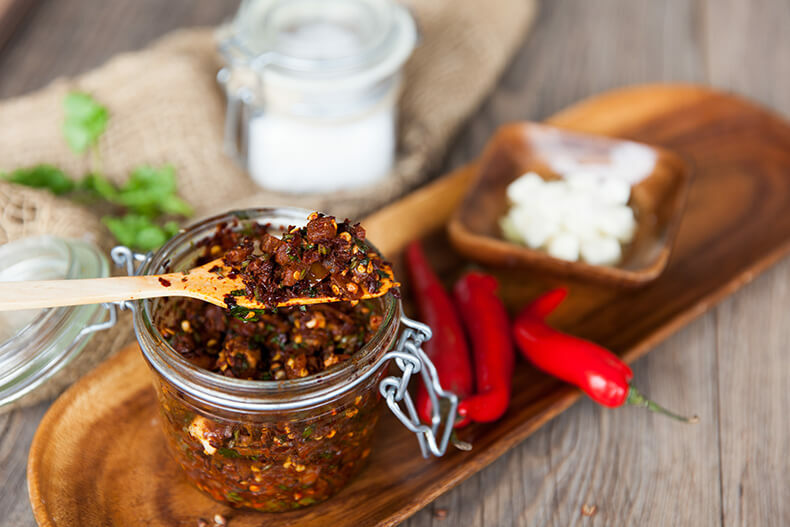 Unlike Singapore’s sambal chilli and Spain’s salsa that are served with specific dishes, the ezay is a condiment that comes with almost everything. The Bhutanese eat it with vegetables, poultry, fried noodles, and even on top of ema datshi. Chilli with chilli – the Bhutanese truly like things spicy! Ezay is traditionally made with thingey, a locally-grown peppercorn known to the rest of the world as Szechuan peppercorn. 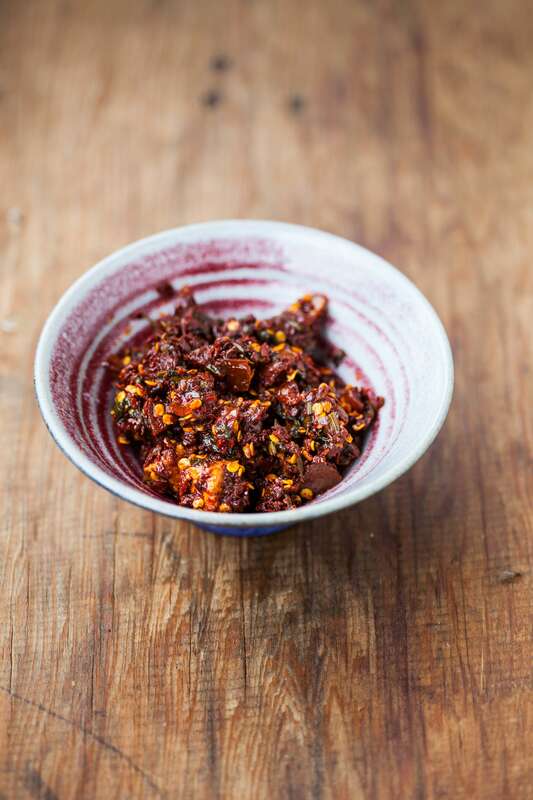 The backing heat of the peppercorn and the red chillies makes this condiment a perfect one to have in winter, but also possibly a shock to palettes that aren’t used to the level of spice the Bhutanese love. The beauty of ezay is that it heightens the clean flavours of Bhutanese cuisines, despite the sharpness of the spices. Chilli-lovers, have a go at this recipe! My version of the ezay that I learned to make during my first trip to Bhutan. I love things spicy so this one truly packs a fiery punch!